Most adults are increasingly experiencing a time crunch. The result is mounting stress and compromised health and vitality. And yet, despite their best efforts, many individuals express frustration about not being able to bring tasks to completion or having enough time to focus on what or who is most important to them. Scientists have even coined the term “time famine” to describe the pervasive feeling of being overwhelmed with the demands of work and life. Studies have shown that people who frequently feel they “don’t have enough time” (time scarcity) are less happy and more prone to anxiety and depressionthan people who report feeling time affluent. In addition, public health researchers have ranked time stress as one of the most important social trendsunderlying rising rates of obesity. What then is the solution to this dilemma? Can individuals and families build their net worth without sacrificing their well-being? The answer is YES! Ashley Whillans was the lead investigator of a study that revealed “spending money on time-saving purchases promotes daily happiness and reduces negative moodbecauseit protects us from the time stress that we feel in our daily lives.” In addition, the research results clearly indicate that reducing time pressure on a daily basis will boost overall life satisfaction. 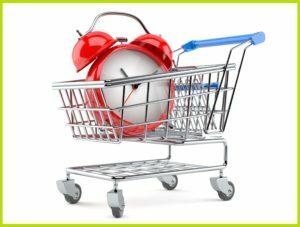 Nonetheless, despite the many benefits of buying time, many participants in the study reported spending little to no discretionary income on buying goods or services that would help to free up their time. The reasons were not clear, but it is likely they did not make the connection between such expenditures and the degree of personal benefit they would receive. In other words, they didn’t take into consideration the overarching value of reducing stress or having more time to devote to the people and activities they cherish the most. Therefore, as a trusted financial life planner, you can add tremendous value in your client relationships by discussing the phenomenon of time famine, and by helping individuals and couples to assess its influence in their own lives. In many cases, the feeling of time scarcity has become so ubiquitous that most people have accepted its negative consequences as normal or “just a part of life.” Therefore, exploring this mindset in your client meetings can be a potentially life changing conversation. For example, the Money Quotient “Wheel of Life” tool helps clients to reflect on nine different areas of life, and to assess their level of satisfaction on a 10-point scale. This personal awareness exercise can easily be enhanced by asking this simple question: “What would it take to raise your level of satisfaction a point or two in each area of life?” More often than not, the changes your clients identify will include devoting more time to someone or something they highly value. Then the discussion can move to brainstorming various options for carving out more time in their busy schedules. Solutions can be as simple as hiring a house cleaner, subscribing to a service that delivers dinner two nights a week, or contracting a landscape company to provide regular yard maintenance. Such options may initially seem like luxuries to your clients, but they will soon understand the long-term value of dedicating a portion of their financial resources to buying time. These relatively small expenditures will return big dividends in terms of decreasing stress and increasing happiness and life satisfaction. In addition, they will thank you for encouraging them to invest in their personal well-being as well as their investment portfolio.